Readership is an estimate of how many readers a publication has. 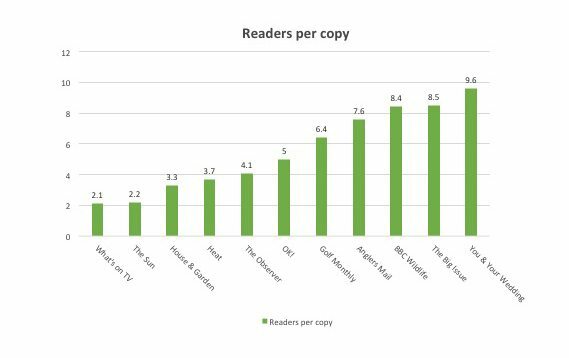 As most publications have more than one reader per copy, the PAMCo readership estimate is very different from the circulation count. The relationship between readership and circulation is known as readers-per-copy, i.e. readership divided by circulation. The number of readers-per-copy varies considerably by publication, as the following examples show. In some cases, sudden period-on-period changes are a result of sample variation, particularly for smaller titles. However, around half of the period-on-period changes in readers-per-copy are statistically significant and it is important that PAMCo reflects these real changes in reader-per-copy.